Your tax deductible contributions support The Marriage Forum, Inc. & our work with individuals, couples, families, and organizations. Thank you for your continuing support as we serve those in the greatest need for peace and the cooperation and safety that comes from mastering The Heartspace© System. We have been offering a free 1 hour telephone session to everyone who requests it since 1999 and we continue to do so. Do you need A Divorce Education? At The Divorce Forum we offer you new skill-sets and tools to create reconciliation or a peaceful divorce. We answer questions about marriage and divorce including pre-marital, post-marital, pre-divorce, divorce and post-divorce issues and give you the full support of relationship coaching, divorce coaching or divorce mediation so that your needs are met for the life you desire. How Can You Receive Marriage & Divorce Coaching; Learn Marital Mediation©, Have Divorce Support & Discover All Your Options? 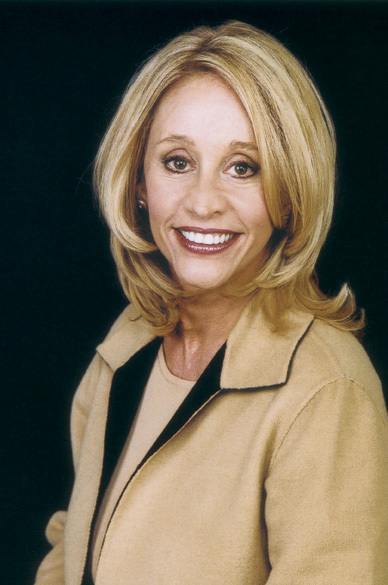 Susan Allan , America's leading Marriage and Divorce Coach and author of "Ask The Love and Relationship Coach" and "Ask The Divorce Coach" columns has created Coaching Packages to enable clients to produce the most peaceful and successful relationships possible, even when the decision to separate and divorce is being considered. During conversations with Ms. Allan, individuals or couples discover new skills in thinking, listening, speaking and behaving that have been proven to transform even difficult war-torn marriages and divorces. Training sessions include Allan's "Marital Mediation©", "Plateaus of Peace©" which enables individuals or couples to discover new skills in communication so that they may learn to meet their needs through more successful and peaceful conversations. When even one partner reaches each new plateau of communication, the entire relationship transforms. Coaching may be a desirable option for individuals or couples who have tried traditional counseling and for those who feel uncomfortable with the time, financial commitment and diagnosis of illness inherent to therapy. Whether an individual or couple is committed to divorce, reconciliation or undecided, the ability to communicate peacefully is the first step to any outcome. Sessions include Compassionate Communication SM; Herrmann Brain Dominance™; "Lifelines 101", "Marital Mediation" and other skills utilized or developed by Susan Allan. Each month millions of readers access Ms. Allan's trainings through her columns, in the media, on radio or television. Ms. Allan offers skill-sets that can transform your relationship, your marriage and or your divorce issues, and we look forward to scheduling your 1 free phone session. Susan has offered pro bono answers to more than 9,000 individuals including her private worldwide clientele. Love and Relationship Forum E-zine. Please don't avoid thinking about divorce until it's too late to protect yourself. FREE ADVICE FROM THE 10 DIVORCE FORUM™ EXPERTS SEND YOUR EMAIL QUESTIONS! Susan Allan, divorce coach and founder of The Divorce Forum has discovered the cause and the cure for the divorce dilemma. 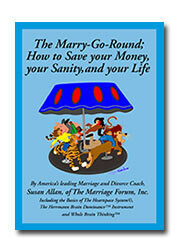 In her upcoming book, Divorce: The Marry-Go-Round©, Ms. Allan presents strategies and techniques for surviving and healing the trauma of divorce. In fact, her work with clients indicates that divorce can be one path to enlightenment and personal growth. The Divorce Forum and Susan Allan's divorce coaching are components in a paradigm shift in divorce that includes multidisciplinary experts. It is also a new way to heal the soul connection of dealing with the past, present and future by breaking the patterns of old and stepping into a new light. This Forum is just one avenue towards healing. It is about taking responsibility and then choosing to move on rather than continue to repeat the past. Just as the past is an avenue to the present; the present can be an avenue to the future. In this journey the results possible can be at times miraculous. However, it requires your participation as a co-creator at both the beginning and the end and with everything in between. When you begin the process with Susan Allan's divorce coaching, it is possible to dissolve, heal and complete the past... but it is up to you. Divorce can be the best thing you ever did, and the best thing that ever happened to you, because it frees you to become more than you were before, and it exemplifies the courage you have to move on. It is the acknowledgement of your own initiative that brings you to a place where you can begin a new life with new substance as a new person, a different person, a better person. So, you can look a divorce as an establishment of a new life. It is up to you to embark on a jorney of recovery where YOU become the HERO. The materials on our web site are strictly for informational purposes. By moving beyond this homepage, you acknowledge that we are not practicing medicine or law, and that no professional client, and/or patient relationship is established or implied. Do not act upon this information without seeking professional counsel. Please be aware that it is your responsibility to verify any information or advice you may find when you use this site. By entering this site you acknowledge and agree to all terms and conditions stated herin. If you do not agree to these terms, do not use this site. Review our extended disclaimer notice by clicking here.